Making healthy lifestyle choices during pregnancy is important. One of the best things you can do for your unborn child is to avoid alcohol during your pregnancy - giving your unborn child the best possible start for their future. There's no safe minimum amount of alcohol that a pregnant woman can drink without it affecting her unborn child. Just a few drinks during your pregnancy can cause serious, life-long brain damage to your unborn baby. What is Foetal Alcohol Syndrome (FAS)? FAS is the most common preventable form of mental disability in the world and occur in children of mothers who drink alcohol during their pregnancies. Recent research shows that 9.4% - 12.9% (94-129/1000) of children in Robertson, Montagu, Bonnievale and Ashton areas are suffering from FAS. Even though FAS is completely preventable, there's no cure for this irreversible lifelong condition. What happens to your unborn baby when you drink alcohol during pregnancy? When a pregnant woman drinks alcohol, so does her unborn baby. The alcohol is 100% absorbed by the foetus and causes devastating damage to the baby's brain. This serious brain damage later results in serious behavioural disorders. When alcohol enters the bloodstream of a pregnant woman, it's carried through the placental tissue that separates the baby’s blood systems from hers, delivering the alcohol directly to the developing tissues of the foetus. The harmful effects of alcohol can damage the foetus at any stage of your pregnancy and isn't isolated to a particular stage of the pregnancy. As part of Women’s Month commemorations in August, Minister of Social Development, Albert Fritz, hosted over 100 women farm workers for a women’s outreach and luncheon. The women came from different farms around the Cederberg area, on the West Coast. “The FAS prevalence rate here on the West Coast is 64 children per 1000 affected (6.42%), making it one of the highest in the world. This is why I am calling on you to help spread the word that FAS is 100% avoidable if we prevent our pregnant relatives and friends from drinking," he said. The West Coast FAS rate can be compared to Kimberley (60/1000), Witzenberg area (96/1000), and De Aar (122/1000). The Department of Agriculture works with the NGO, FASFacts to educate farming communities and the general public what drinking alcohol during pregnancy does to unborn babies. 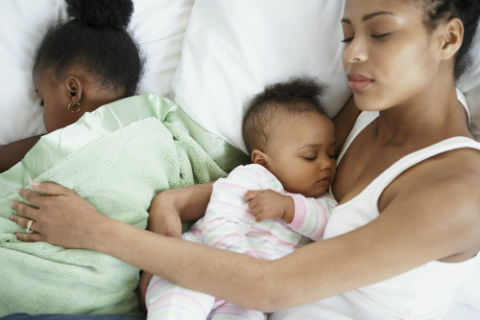 This organisation has been in existence since 2002 and is focused on educating communities about the dangers of alcohol and substance abuse during pregnancy and breastfeeding, in order to prevent Foetal Alcohol Syndrome (FAS) and Foetal Alcohol Spectrum Disorders (FASD). Training of mentors in the community to support pregnant women and prevent them from drinking alcohol during pregnancy (thus lowering the risk of having FAS babies). Two one-day awareness sessions to members of the community on domestic violence and substance abuse. A one-day counselling session to members of the community that may be at risk or are impacted. "The mentors are trained over 3 days in FAS, alcohol, drug abuse and domestic violence. The implementation of this project contributes to the general social upliftment of farm workers, their communities and farm worker organisations," he said. The PWMP is a 12-month intervention programme that supports pregnant women in abstaining from substance use during pregnancy and breastfeeding. The programme has assisted 657 pregnant women to stay sober since 2012. Community members and/or farm workers are trained as mentors. They’re equipped with information about FAS, as well as techniques to convey the FAS message in their communities or on the farms where they live and work. Each mentor educates expecting mothers and their partners about the dangers and devastating effects of alcohol and substance abuse during pregnancy. The mentors deliver a lay counselling service during pregnancy and breastfeeding. This is focused on education, emotional support, motivation to stay sober and a drug-free lifestyle. The PWMP also focusses on alcohol and drug abuse in general. The Western Cape has one of the highest reported occurrence rates of FAS in the world. Substance abuse is also a major problem in farm worker communities. Many farm workers are unaware of the devastating and life-long effects that alcohol and substance abuse could have on an unborn child, the family, and even the community as a whole. Through this programme, women together with their partners, are educated about FAS and FASD and are also provided with continuous support from mentors to abstain from drinking and to make healthy lifestyle choices. Through this programme, the rate of FAS in the Western Cape and the burden on health, education and social services are reduced. For more information, you can contact Danie Niemand, Director of Farm Worker Development at the Western Cape Department of Agriculture at 021 808 7601 or email danien@elsenburg.com. You can also call FasFacts on 023 342 7000 or email info@FASfacts.org.za.